MARION, Iowa - If her husband Mitt becomes president, Ann Romney said she will focus on working with troubled kids as first lady. "At-risk youth have been a concern and a love of mine and a passion of mine for a lot of years," Romney told reporters on Wednesday after stumping in Marion for Iowa state Senate candidate Cindy Golding, who is running in a November special election. 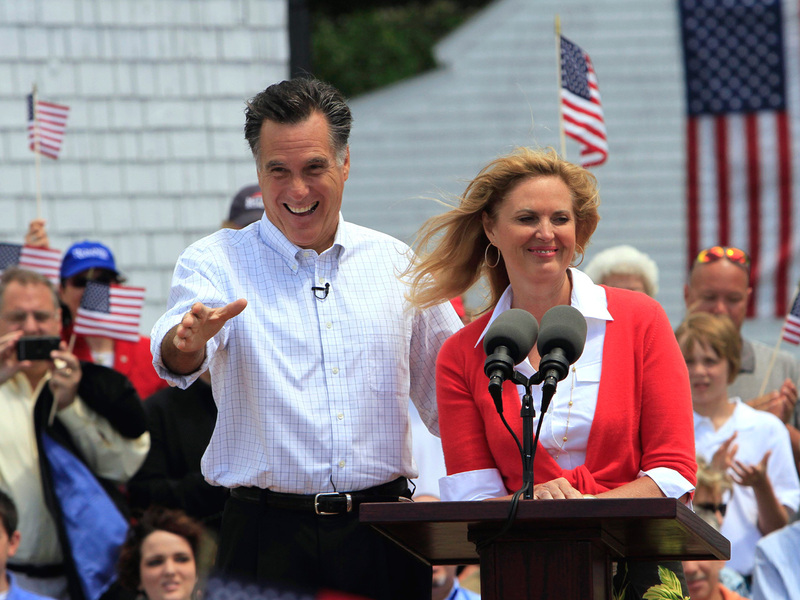 Ann Romney also did some campaigning on behalf of her husband, referring to the former Massachusetts governor as "the jobs guy, the turnaround guy." Mitt Romney spent part of the day across the country campaigning in Tallahassee, Fla.